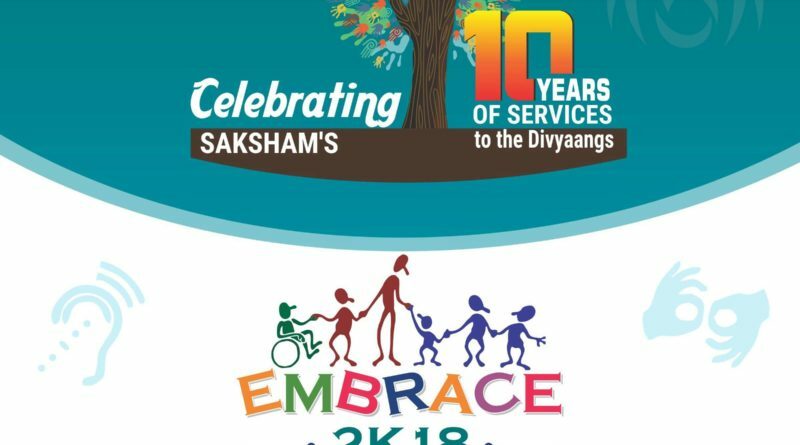 Embrace2K18, a national summit which is being organized by “SAKSHAM” for the empowerment of Divyangs(Specially Abled). 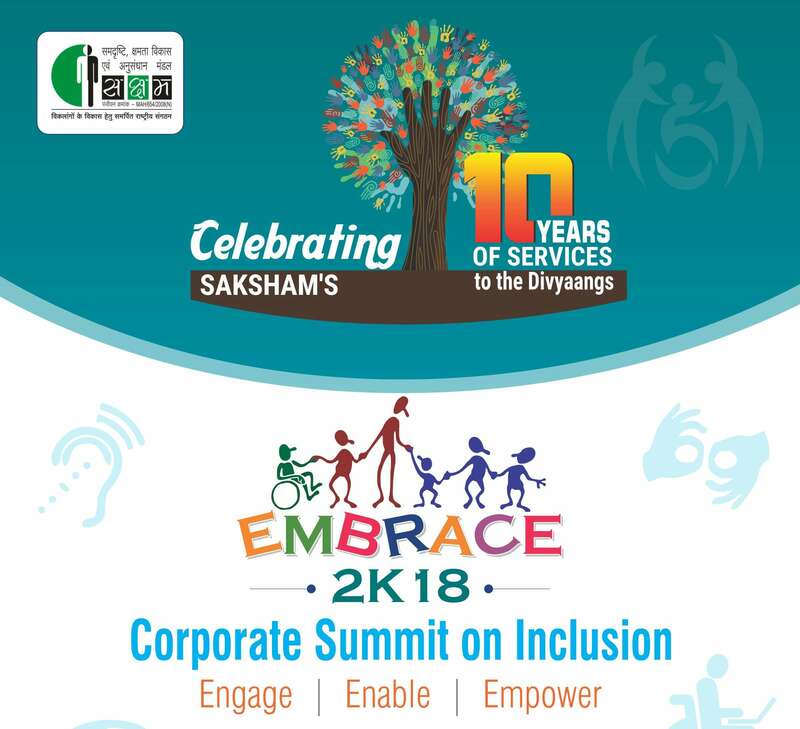 “SAKSHAM” is an organization which works to enable the Divyangs with the motto: “Saksham Bharat Samarth Bharat”.”SAKSHAM” works on early identification, early rehabilitation, enabling and accessibility of Divyangs by helping them realize their potential to fulfill most essential requirements in education, soft skills, and career advancement. It is for not only empowering Divyangs but it is also for encouraging corporates, institutes and NGOs who can help and support the Divyangs by providing a networking platform for them to collaborate. they can create for Divyangs, very similar to some of their peer organizations. The event will also provide an opportunity for the NGOs and Divyangs to discuss their challenges, aspirations, expectations and achievements. So please come forward and join us in the journey of making “Samarth Bharat” through Inclusive India.